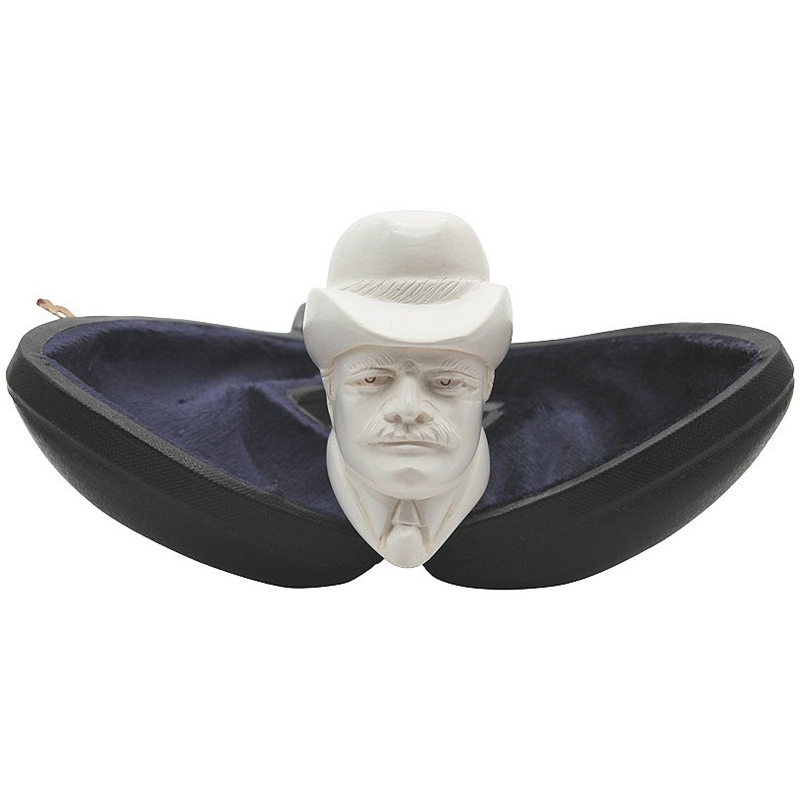 Hand Carved Watson Meerschaum Pipe - Watson looks well groomed and dapper wearing his necktie and brimmed top hat ready to assist his good friend, Sherlock. The pipe has an exceptionally deep bowl and is nicely finished with polished sheen, as is the scrolled designer stem. 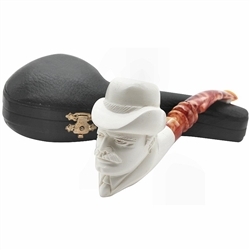 This handsome pipe is an excellent choice for the pipe tobacco smoker who likes to smoke or collect Sherlock Holmes and Watson pipes.